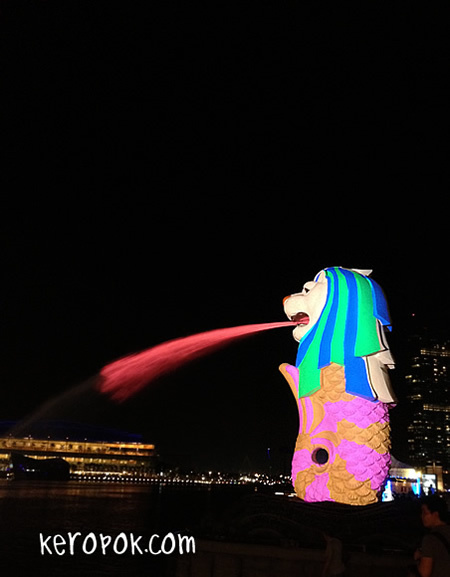 The Merlion looks very different this month! 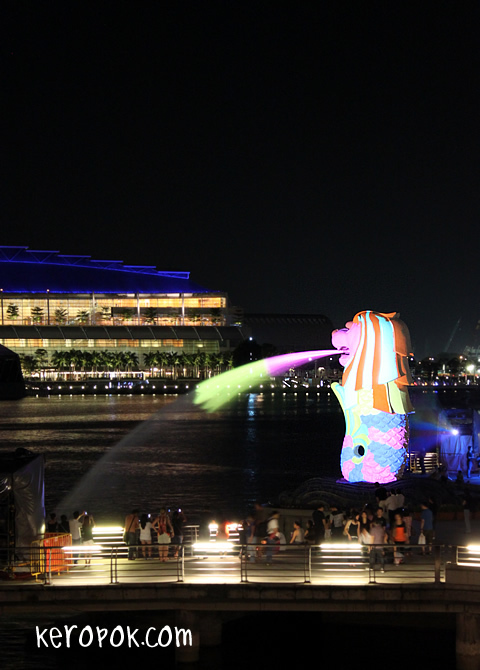 For the iLight Marina Bay 2012 Festival, the Merlion has been used as the 'canvas' for the 'light paint'. 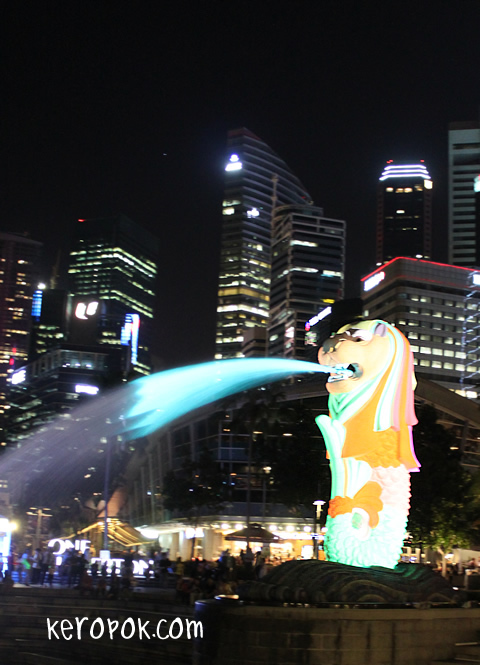 Projectors shine colourful lights unto the Merlion at the Merlion Park. Or go nearer and enjoy some 'noise' from the speakers as well. Some says it's not noise, but the genre of new age sound does not go too well with my ears. But it is something enjoyable though. We were just standing near the merlion for almost an hour looking at the colour change. If you have a phone with a camera, say an iPhone, the photos come out super clear! 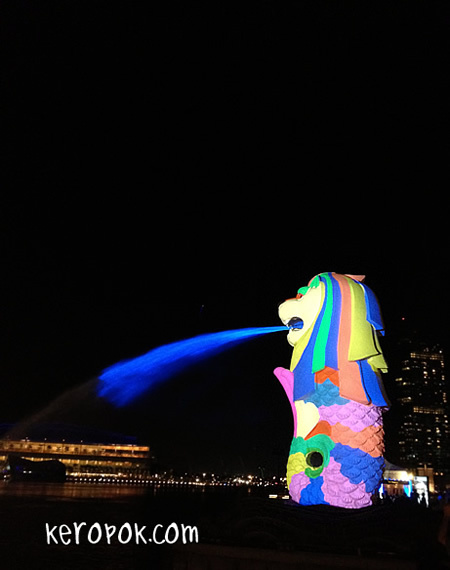 For the next 2 weeks, if you are around the area, drop by and say hi to the Merlion!